The Reader Organisation’s South West team has been operating since 2011 – in the space of just over three years they have recruited and bid farewell to colleagues, expanding the reach of shared reading across the region from Cornwall all the way across to Gloucestershire. 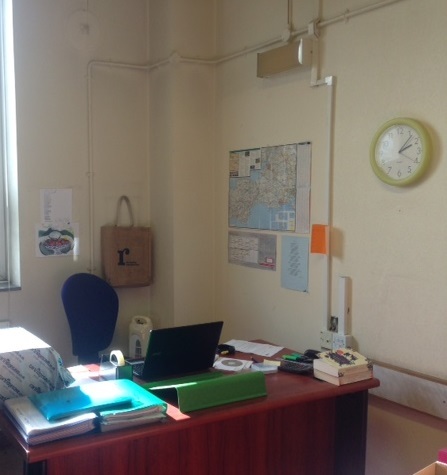 And we can announce some exciting news – having spent these years without a central office and working remotely, the South West team now have their very own premises, based in Plymouth Central Library in Devon. Moving is something we’ve been used to lately, as just over a month ago we relocated our Liverpool HQ from West Everton to the Coach House at Calderstones Mansion. The South West team have all been working from home since shared reading began here, as well as in various lobbies and cafes, so we’re really looking forward to sharing ideas, tea, and anecdotes in a room of our own – and welcoming our volunteers and visitors. There are poems, ideas, and maps on the walls already, and we’ve had and won a fight with a crumbling thirty year old phone system. Thanks to the supreme talents of TRO’s IT and Facilities Manager Craig Bentley, we are now on broadband faster than everyone else in Plymouth! It was lovely selecting resources with the People and Support team at TRO HQ in September to create that irreplaceable back-to-school feeling – trundling down from Liverpool to Plymouth by train with a suitcase containing the entire contents of the new office felt like something of a pilgrimage. It’s great timing, as we will soon be welcoming a new member of staff, Sarah Dangar, who will be the Team Leader responsible for operational management of the South West. Sarah and I will work be working full-time from the office, joined by the South West team members from Cornwall, Devon, Plymouth, Wiltshire and Gloucestershire in-between delivering their shared reading groups. As a team, we’re looking forward to welcoming our colleagues from the rest of the country to our new home, and continuing to create strong shared reading connections throughout the South West which link up to the work going on across the UK. Thanks to the staff at Plymouth Central Library for their considerable efforts in preparing the space for us and making us welcome. You can also get updates from the team in their lovely new office – and from all around the South West – by following @TheReaderSW on Twitter. The Reader Organisation’s volunteering presence is about to grow in South West England, as we look for more people to help us continue to develop our shared reading projects in the area. We’ve already got valued volunteers on board with us in Wiltshire reading with people living with dementia, and now we’re recruiting for volunteer group facilitators for our community shared reading project in Devon. Applicants will join us to run Feel Better with a Book groups at libraries in Exeter, Tiverton and Cullompton. 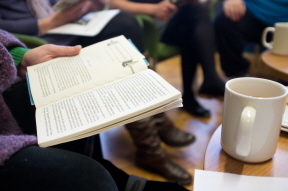 Funded by Devon County Council and run by The Reader Organisation, Feel Better with a Book groups provide a stimulating environment where people can meet weekly to connect with each other through the shared reading of great literature. This opportunity will give you the chance to become part of The Reader Organisation in the South West, receiving fully funded training, as well as engage with literature on a fresh and emotionally stimulating perspective. For a short amount of time – one and a half hours per week – you will be acting as an assistant group facilitator in a weekly Feel Better with a Book group before training to independently facilitate the same group. We ask for a minimum of a one year commitment, but the opportunity is ongoing and can last for as long as you and your group want it to. This position will also benefit from a free place on The Reader Organisation’s revolutionary Read to Lead training, a three-day course in shared reading which will qualify you as a shared reading practitioner able to facilitate in community settings. The three day training will take place at The Hayridge Centre, Cullompton, Devon from Tuesday 25th – Thursday 27th November. If you have excellent literacy and comprehension, are good at reading aloud or willing to learn to improve your skills, have the ability to manage group dynamics and a desire to relate to people in an open and human way, you could become a Volunteer Assistant Group Facilitator with us in Devon. Since January this year, The Reader Organisation have been running weekly Library Memory Groups in libraries across Wiltshire. 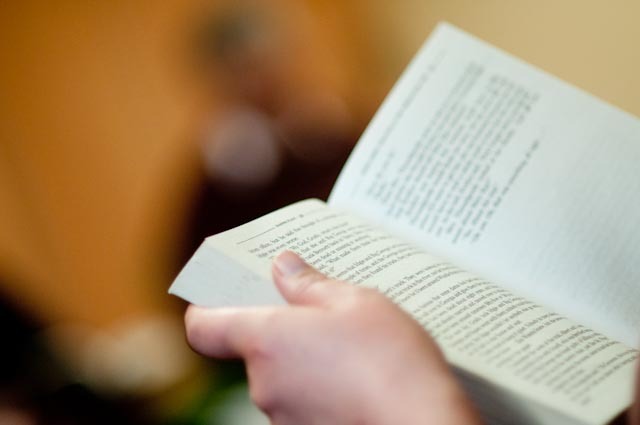 Funded by Wiltshire Council and NHS Wiltshire Clinical Commissioning Group, Library Memory Groups provide a stimulating environment where people with memory loss and those who care for them meet weekly to connect with each other through shared reading. Within the short space of time they have been set up the groups have proved popular, attracting coverage from BBC Radio Wiltshire and Wiltshire Times. As the project continues, we are looking for volunteers to become Assistant Group Facilitators in our Library Memory Groups in Mere, Pewsey, Purton and Warminster Libraries.This opportunity will give you the chance to make a difference to the lives of people with memory loss, and to become part of The Reader Organisation in the South West, receiving fully funded training and the chance to go on to complete our revolutionary Read to Lead training free of charge. For a short amount of time – one and a half hours a week – you will help to make a significant impact within the community, as well as enjoying literature from a fresh and emotionally stimulating perspective. My background is in English teaching, secondary trained, and I do love books. In particular, working with people with memory loss with reading is what I wanted to do because I believe in that pure, simple pleasure of reading. 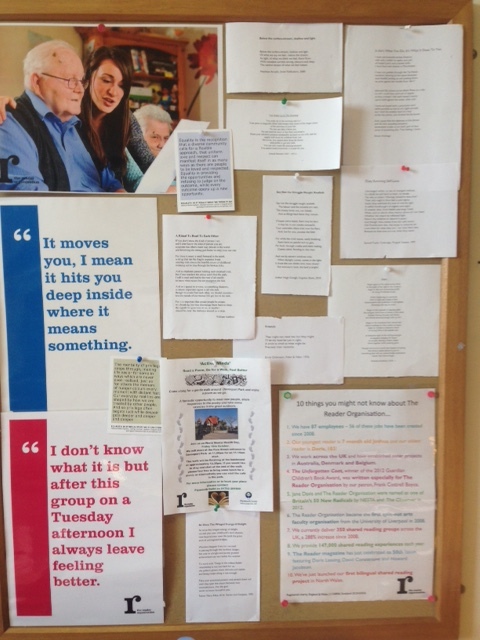 I also think that it’s something that’s taken away with a lot of other support groups that can happen for people with memory loss – literature can be forgotten, and so for me that was really important to see, that we celebrated it again. The reading is of paramount importance, and what I enjoy is seeing the reaction of people. I thought it would be beneficial and I thought I would see it; what I wasn’t prepared for was the extent to which it happens; it is unbelievably moving and it is a real joy. We all seem to know that this is a safe place as well; that everybody can share things and emotions and memories. Being in the group has taught me to put the analytical and critical side of myself aside sometimes and simply look at the text for enjoyment and a nudge for memory and nostalgia, which is a lot more important. It’s very interesting to have memories that people speak about but we root it all in the text. I also enjoy the calmness that comes from reading the text at a slower pace, it’s lovely. I would encourage anybody who’s the slightest bit interest to get involved because it’s incredibly manageable; I’m here for an hour and a half, there’s a variety of libraries to choose from that people can take part in, and to see the effect it has on other people and on oneself is worth it. If you have excellent literacy and comprehension, are good at reading aloud or willing to learn to improve your skills, have the ability to manage group dynamics and a desire to relate to people in an open and human way, you could become a Volunteer Assistant Group Facilitator with us in Wiltshire. We ask for a one year commitment but the opportunity is ongoing and can last for as long as you and your group want it to, and The Reader Organisation will give full support. Library Memory Groups in Wiltshire currently run on Wednesdays (Warminster and Mere) and Thursdays (Purton and Pewsey), for full details of groups in the South West, visit our Reading With Us group map on our website. 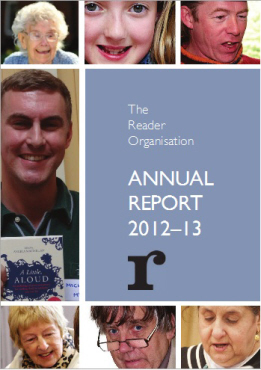 The Reader Organisation’s Annual Report for 2012/13 is available to read and download now on our website. Covering our activities and achievements from April 2012-March 2013, it’s full of headlines, highlights and Reader Stories from our work across the UK and beyond. As we continue to develop our vision for the International Centre for Reading and Wellbeing at Calderstones Mansion House, our Annual Report 2012/13 showcases how far shared reading has come in the past 10 years, growing from its home in Wirral to reach across Liverpool and the wider North West region, London, South West and Scotland. 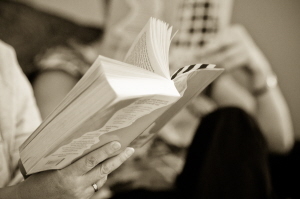 The connection that comes from shared reading is now being felt in a number of varied settings, ranging from within the community to Criminal Justice settings to the corporate sector. 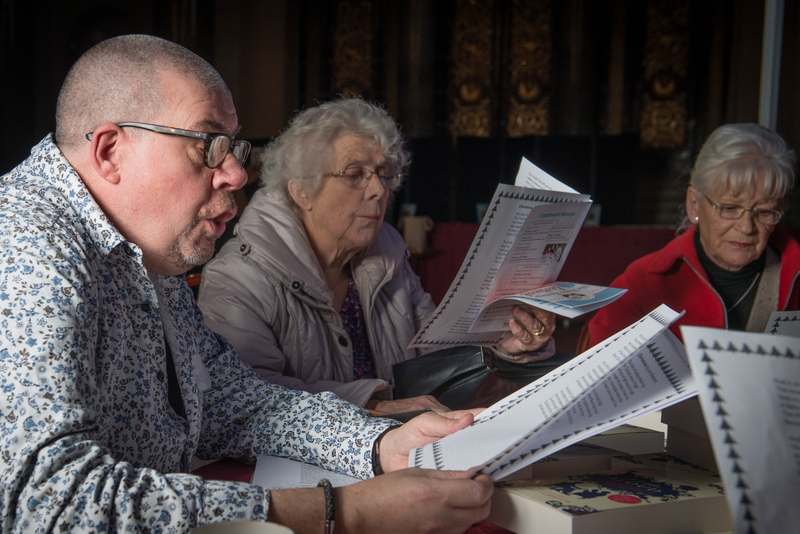 Thanks to growing support we have been able to expand our activities to include a pioneering Volunteer programme across Merseyside, increased learning opportunities and publications offering what is at the heart of everything we do – great literature. Looking through the report gives us much to reflect on, but undoubtedly the most powerful testimonies come from our Readers themselves, some of whom joined us at our AGM last November – the first to be held at Calderstones Mansion House. As we enter a 2014 with many exciting things in store for the reading revolution, it’s well worth taking a look at the strides that have been made so far. This week’s meeting of our weekly Feel Better With A Book group in Totnes Library, Devon will be a particularly special one as Dr Sarah Wollaston MP is visiting to find out more about the pioneering scheme in the South West andshare some reading as well as discuss the Government’s new Care Bill. Earlier this year, Devon County Council invested a further £100,000 in Get Into Reading in the area, joining forces with The Reader Organisation to expand the successful year-long pilot programme and create Reading Together in Devon – a county-wide network five of Library Memory Groups for those with memory loss conditions and their carers, and seven Feel Better with A Book groups for those wanting to lift their mood and engage with others for enjoyment and general support. The Totnes Feel Better With A Book group is every Friday in the School Room of Totnes Library, 2-3.30pm. Tomorrow’s session (Friday 23rd August) will include an informal open meeting with Dr Sarah Wollaston MP at 3-3.45pm where anyone who has mental or physical vulnerabilities, or cares for someone who does, will have the opportunity to ask questions and find out more about the government’s new Care Bill. Find out more about the Feel Better With A Book project and our work in the South West by visiting the Where We Work section of our website. Full details of all of our current open weekly shared reading in Devon can be found on our Reading With Us group map and the Devon County Council website. Looking to start reading a novel with your shared reading group, but not sure how to go about it? Perhaps you’re already reading novels and are looking to refine your practice? Are you interested in the special quality that novels have when read aloud together? 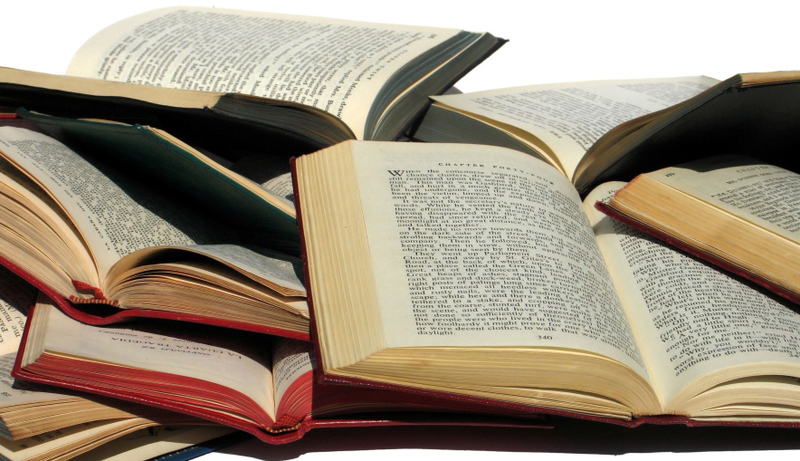 This special Saturday Masterclass, led by The Reader Organisation’s Literary Learning Manager and The Reader magazine regular Casi Dylan, will cover all aspects of working with novels, from selection through to conclusion, and will make the case for working through longer works of fiction as a group. Masterclasses are especially for Shared Reading Practitioners who have attended Read to Lead as part of The Reader Organisation’s Ongoing Learning provision, designed to improve shared reading practice and deepen understanding as a reader. The last few places on this special weekend Masterclass in Exeter are available – places are free if you are within your first year of Ongoing Learning, and £55 otherwise. This cost includes lunch. For more information on this Masterclass and to book your place, please contact Literary Learning Coordinator Roisin Hyland on roisinhyland@thereader.org.uk or call 0151 207 7207, with the details of the Read to Lead course you attended.